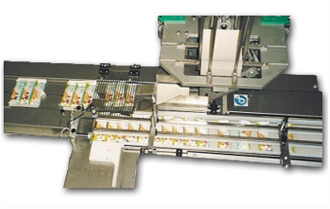 Among our automatic lines there are machines such as: “Synchroniser-Aligner”, “aligner”, “Phasing System”, “Trays feeding system”, “synchroniser”, “scoops multipacks”, “Stack biscuits wrapping machine” and “Gravity feeding system”. Machine that longitudinally orients, aligns and synchronized the products manually or directly by the upstream system, and introduces them automatically into the packaging machine chain all in 4 meters of length. 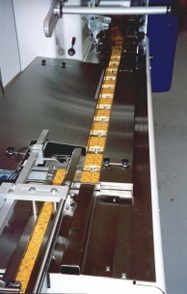 Variable speed belts and motorized guides control the flow and position of the product. 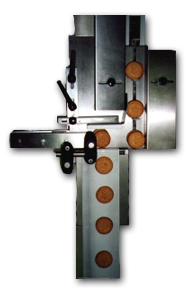 Orients and longitudinally aligns square round, rectangular, or irregular products such as chocolates, biscuits, and snacks by means of belts and motorized guides. Ideal for manual loading (pans/trays) direct loading by the upstream system. An additional device eliminates any non-oriented product.